After a couple of ordinary weeks’ weather wise the Sunshine Coast fishing scene is back in full swing. A glorious weekend on the water and the next few days all look the same. 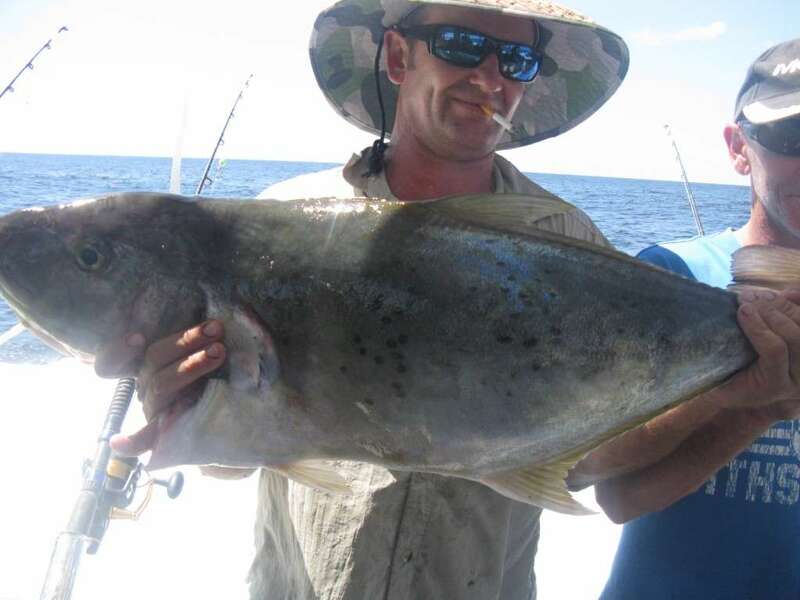 We had done trips from Thursday through to Sunday with a mixture of ¾ day trips fishing the inner reefs and full day trips to the Barwon banks. Tusk fish seemed to be chewing baits everywhere and were the most prevalent species, weighing in the 1-2kg range and the bigger ones up to 3kg. Our ¾ days were spent between Currimundi reef and the Caloundra 9nm and 12nm reefs. Species caught were school mackerel, moses perch, hussar, squire, amberjack, morwong, lots of grassy sweetlip around the 40cm’s, big cod and plenty of tusk fish. The mackerel were caught on live yakkas while the sweetlip were taking flesh strips. All three reefs seemed to fish the same, while there was no hot bite for an hour with everything going crazy there was just fish consistently going in the esky every 10min or so. The crabbing was good in close too good hauls of 40 keepers. Everyone got a mixed bag of fish and a few crabs to take home. 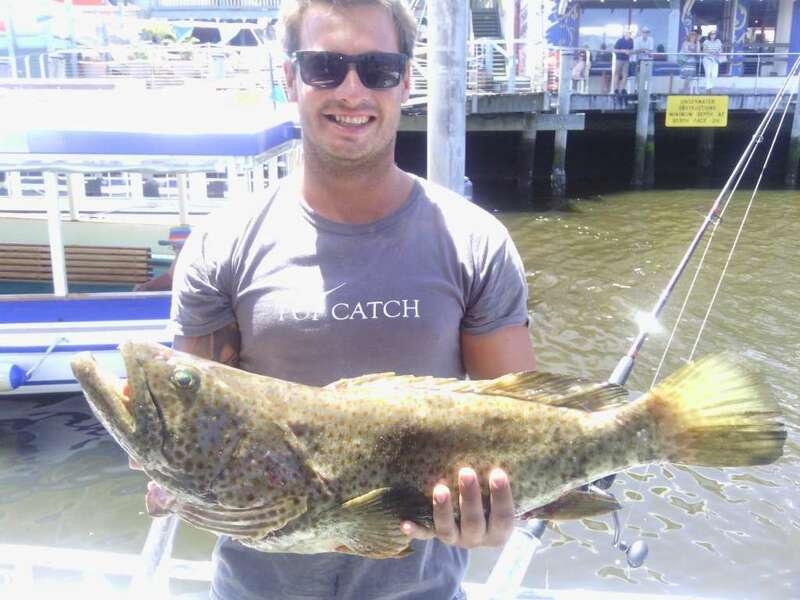 The picture below shows a gold spot estuary cod caught by Dusty on the 9nm, it took a big live yakka in 39m of water.